This fall I’ll be launching a new participatory storytelling project entitled Robot Heart Stories. At its core Robot Heart Stories is an experiential education experiment. 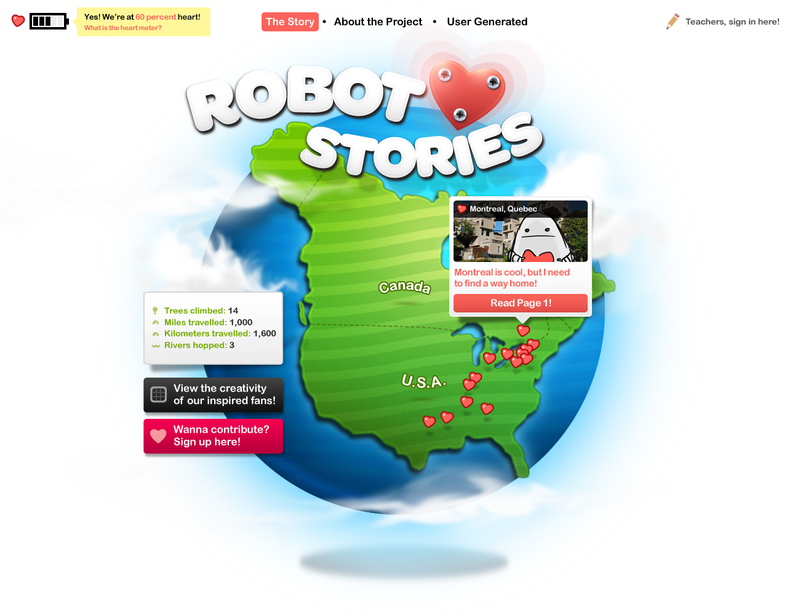 Over the course of 10 days two classrooms in underprivileged schools (one in Montreal and the other in LA) will work together to help a robot make her way home using science, math, history, geography and creative writing. The project concludes with an actual space launch to the international space station.